Four Lakota Sioux stand together after a day of helping build teepee. Jesse pulls tight on a rope while Kaslin and his friend play in the Oceti Sakowin camp. The Dakota Access Pipeline lays almost complete. 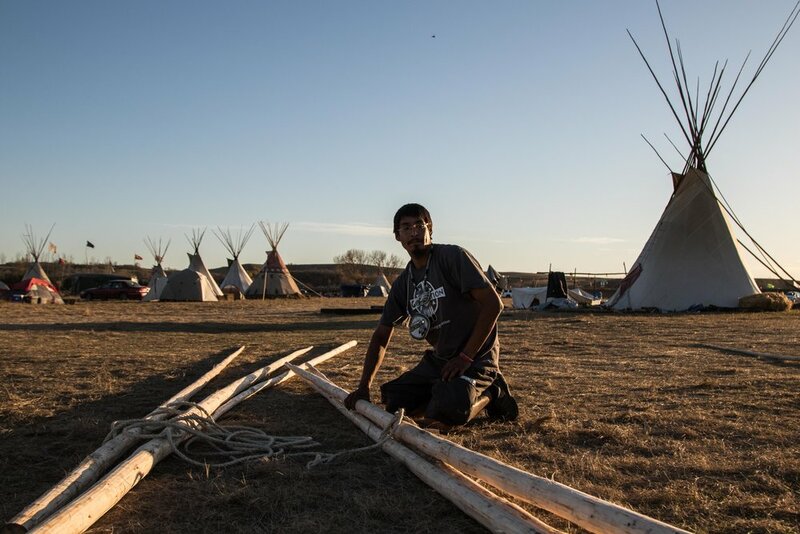 Sage ties a rope around the base poles of a teepee. 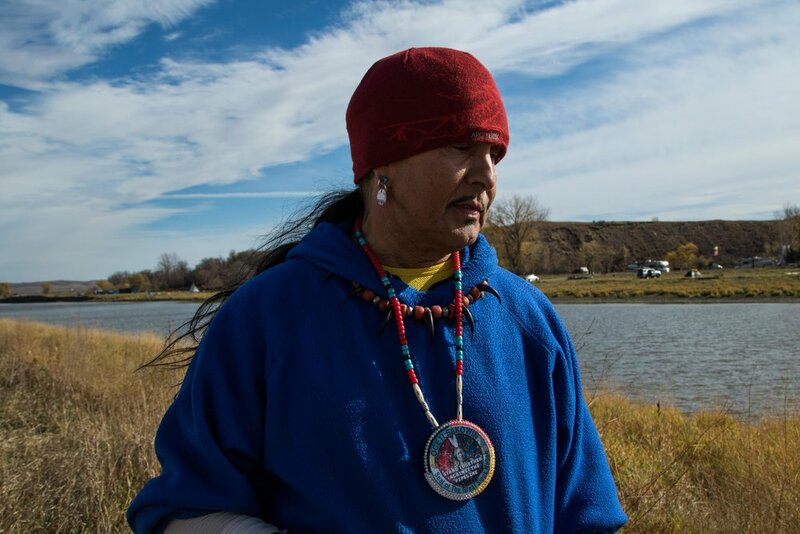 A Veteran sands watch over the Oceti Sakowin camp. 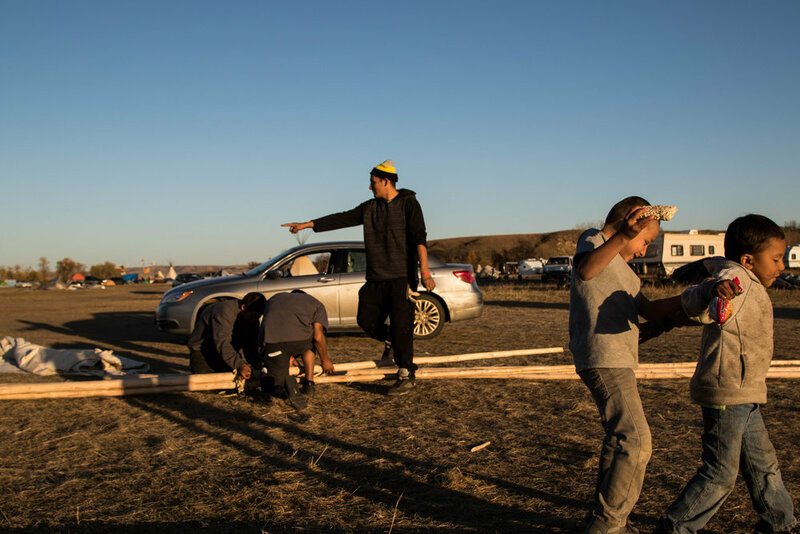 An Ogallala Sioux man sits in the wood deliver truck in the Oceti Sakowin camp. An indigenous man from Las Vegas looks over the Cannonball river. BJ Kidder poses for a portrait at sunset. Kaslin throws a wooden dowel while Sage holds a teepee pole. Jesse tolds a teepee pole. Two young Lakota Sioux boys plays on teepee poles as one of the boy's father, David standing and pointing, tries to build a teepee. A young boy, Kaslin, rides his bike in while his friend eats uncooked ramen. After working for hours a group of Sioux built a teepee before night fall.